The QolorFLEX® 4x2.5A Dimmers provide a tiny but powerful and affordable new way to control QolorFLEX LED Tape, other LEDs, or low voltage incandescent fixtures. These new miniature dimmers are four channels dimmers with a wired input. 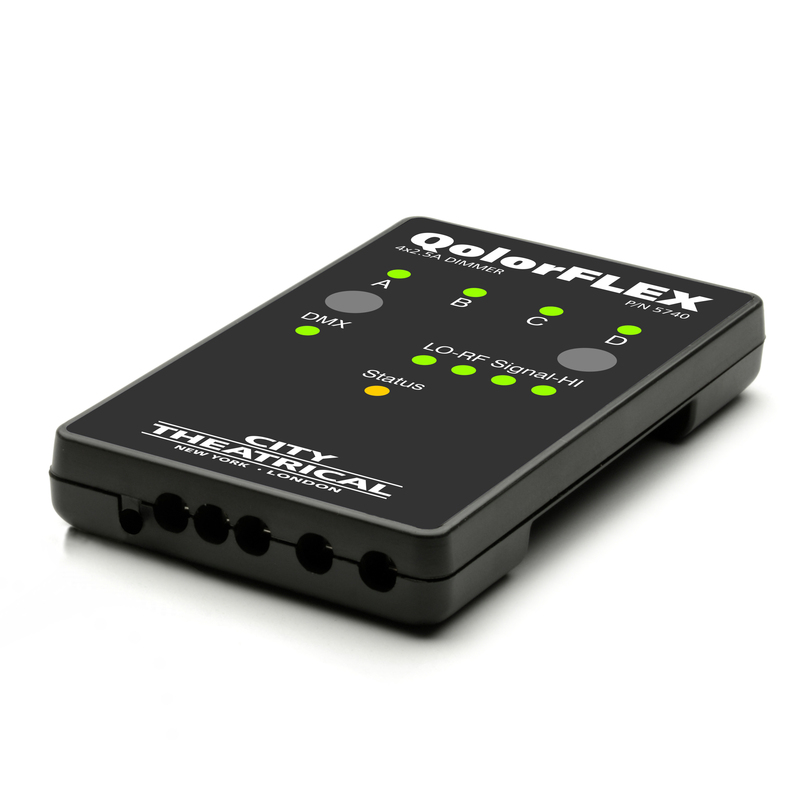 For our wireless version of the 4x2.5A dimmer with a SHoW DMX Neo® wireless receiver, visit the product page for the QolorFLEX SHoW DMX Neo 4x2.5A Dimmer. 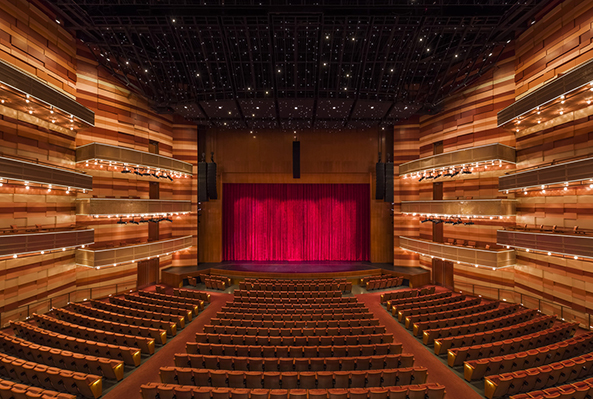 Read the case study on QolorFLEX 4x2.5A Dimmers at the Award-Winning Starry Sky at George S. and Dolores Doré Eccles Theater in Salt Lake City, UT. Lighting Designer CBBLD. Architects: Pelli Clarke Pelli Architects and HKS Architects, Inc.. Photo by Jeff Goldberg/Esto.